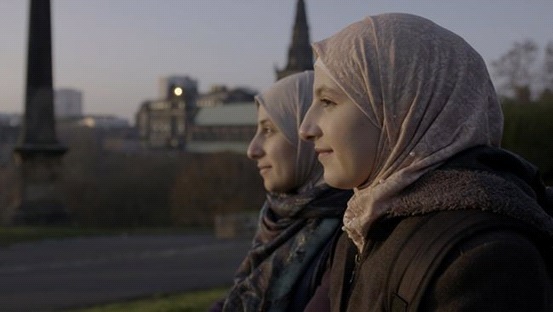 Sanaa and fellow Syrian refugees living in Scotland, have recently starred in a successful adaptation of Euripides ‘The Trojan Women’. After nine months of drama workshops in which 30 participants incorporated their own narratives into the 2,500 year old play, it was performed in February 2019 as ‘The Trojans’ to packed audiences at the Platform Theatre in Easterhouse, Glasgow. MSP’s partner, the Trojan Women Project (TWP), which created and led this initiative, has been running since 2013 with the aim of providing a safe place for Syrian refugees to work through their trauma and share their experiences — while meeting new friends — but also to raise awareness of what they have been through, and to build links with local communities. Reactions have been highly positive, garnering 4 stars from the Wee Review, and interest in staging it at numerous venues in future, including at the Edinburgh Festival. We are delighted that the production will soon be coming to Inverness, where MSP is registered and two of our board members reside. Following our direct grant support to similar workshops in previous years, TWP is in discussion with broadcasters to air the radio drama ‘My Aberdeen’. TWP is also seeking funding for the UK tour of ‘The Trojans’. Please contact Charlotte for further information.